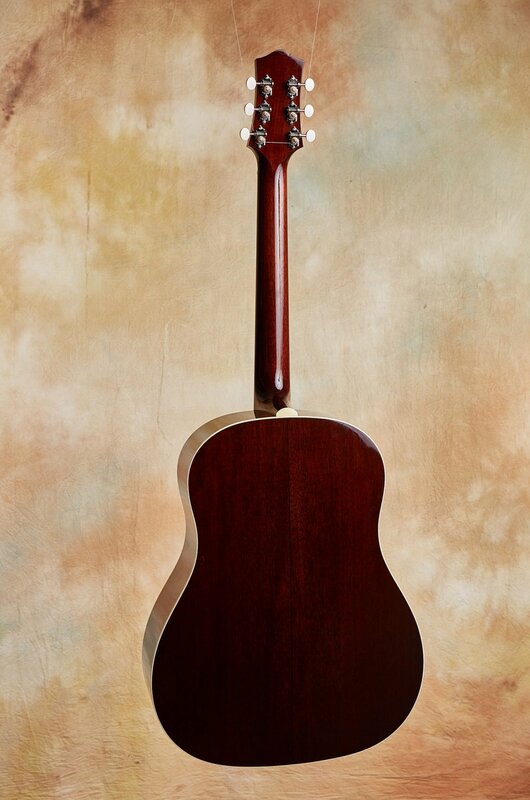 This CJ 35 was originally sold by CR Guitars and has lovingly been cared for by the original owner. Bill Collings would not have used the term “vintage inspired” unless he really meant it. 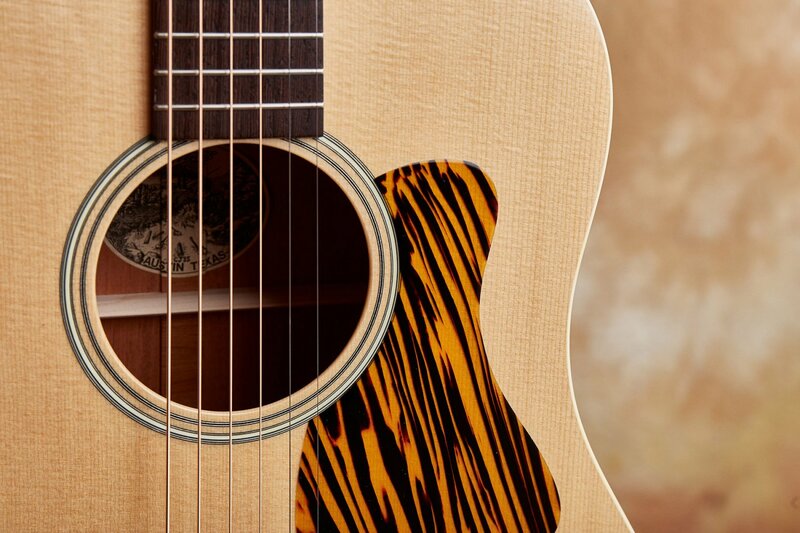 Imagine this to be very close to the sound/vibe of a brand new guitar made pre-1942. 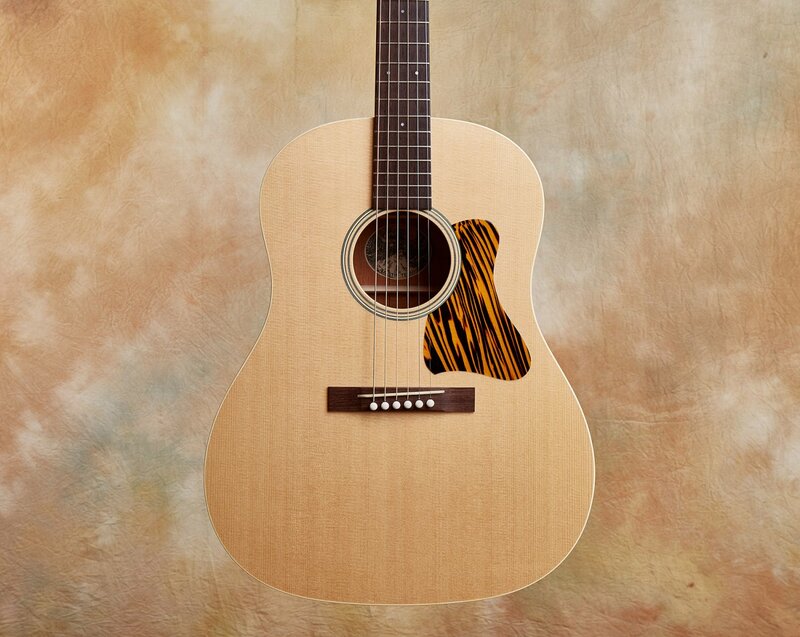 Its sound is deeply resonant and highly articulate with a vintage-like clarity. 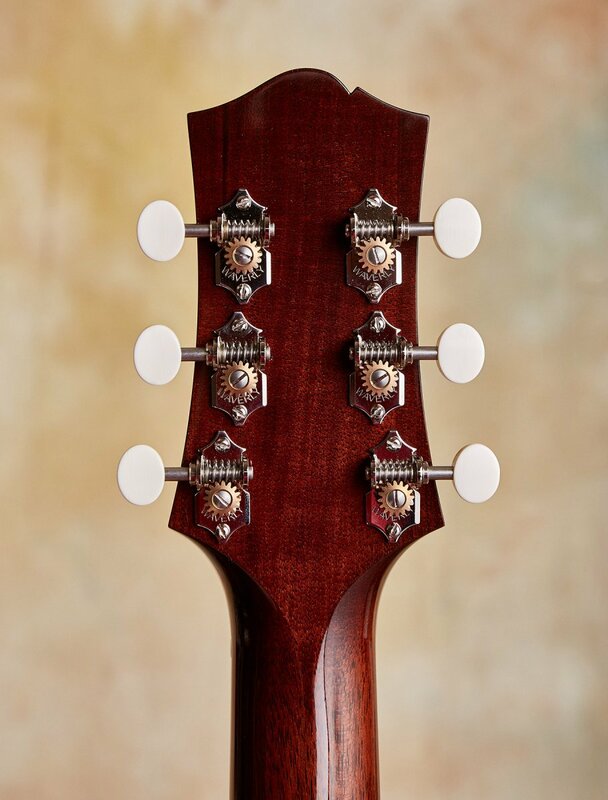 The neck has a vintage inspired profile that matches well with the 2 5/16" bridge string spacing. That along with the 24 7/8" scale length make the geometry of the CJ35 just as it should be. 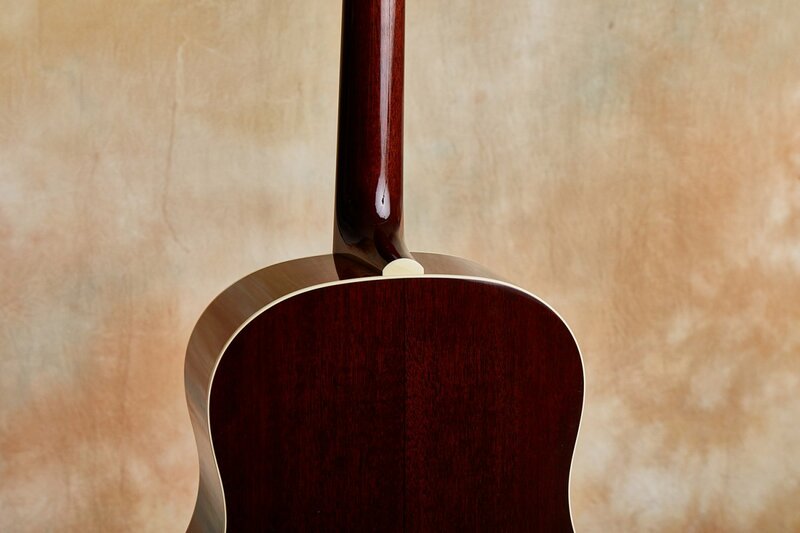 The pre-war era of American flattop guitar making has come to be known as "golden" for a reason. 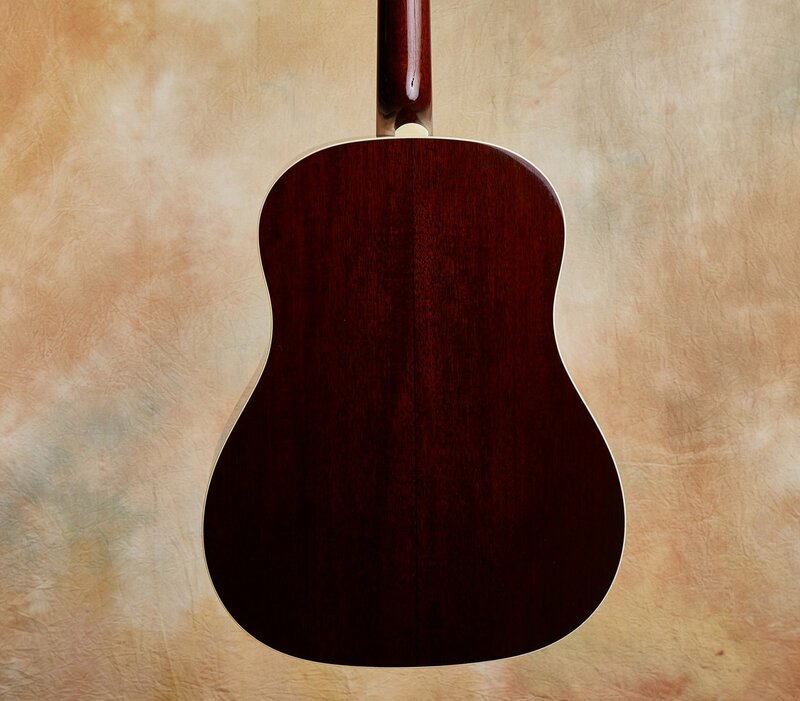 Lauded for its short but brilliant periods of construction innovation, the years from 1930-1942 were filled with new instrument runs that featured bracing, fret access and body dimension changes that would define the features and sounds of the modern acoustic guitar. 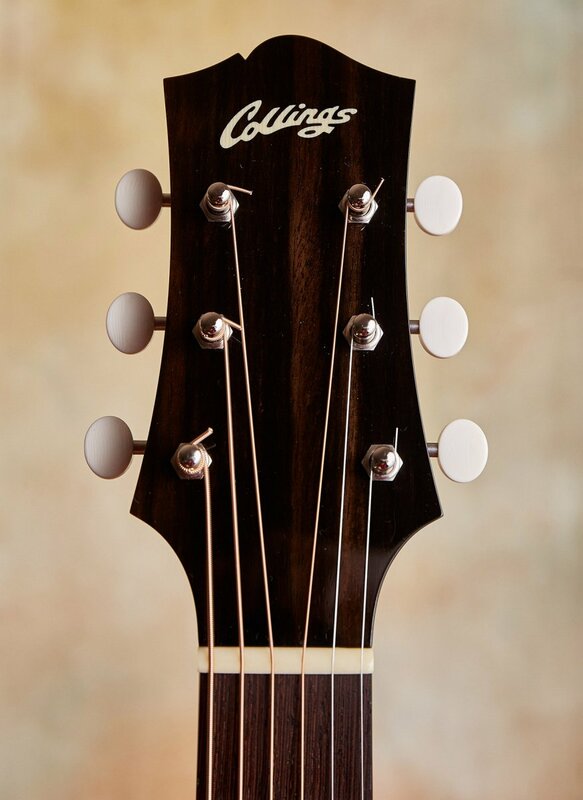 Emerging out of their fascination with this era of guitar making history, Collings is proud to introduce the CJ35. 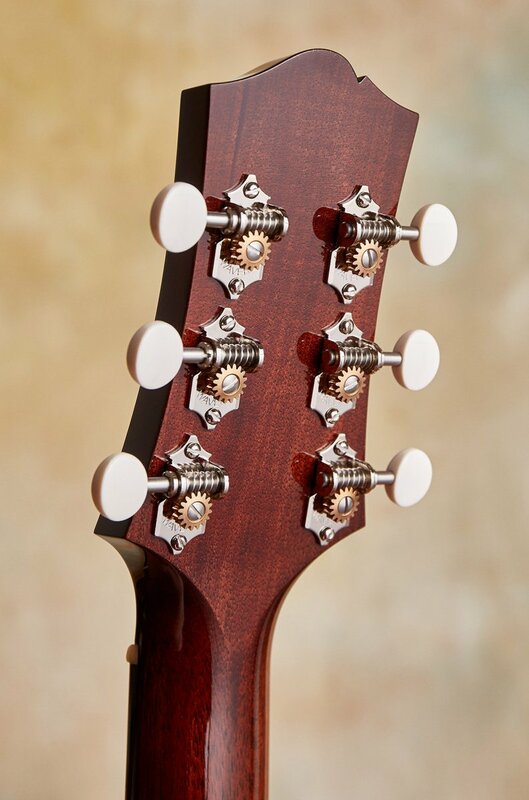 Available with a mahogany back and slope-shouldered body, this new variation of Collings' CJ model incorporates a non-scalloped bracing configuration featuring three tone bars and a short 24 7/8" scale length. This new design provides the CJ35 with a beautiful balance of deep piano-like bass and powerful full-bodied highs, complimented by a focused dynamic range for exceptionally even note projection. 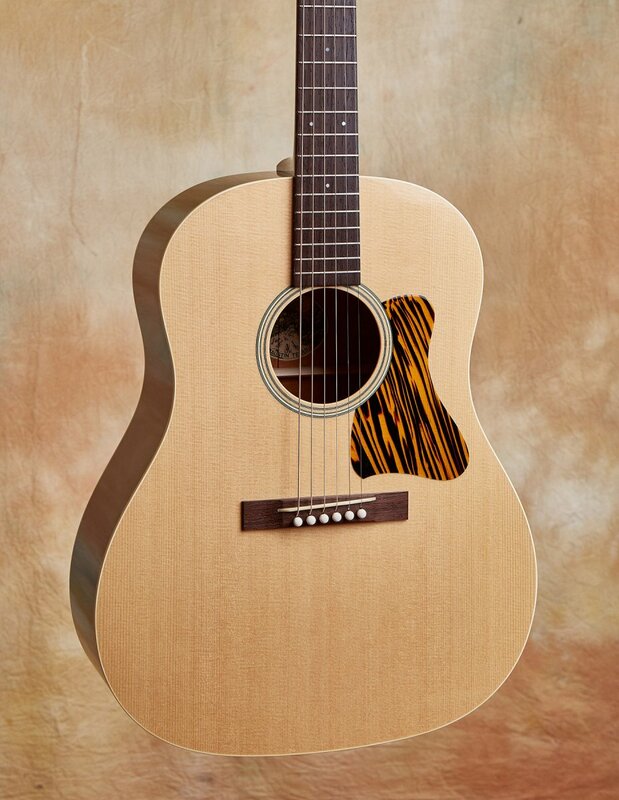 As a result, the CJ35 is one of Collings’ most versatile large-bodied guitars, well suited to both fingerstyle and strumming techniques. 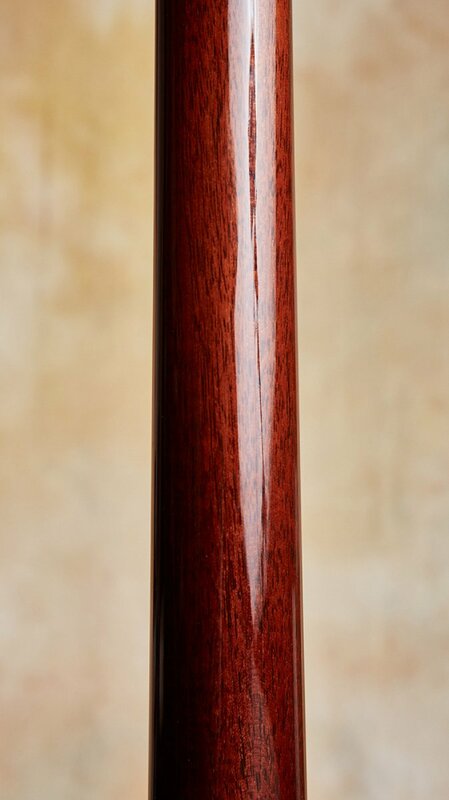 This CJ 35 was originally sold by CR Guitars and has lovingly been cared for by the original owner. On consignment, this minty CJ35 shows virtually no signs of playing wear and looks, sounds and plays as good as when it originally left the shop. Bill Collings would not have used the term “vintage inspired” unless he really meant it. I imagine this to be very close to the sound/vibe of a brand new guitar made pre-1942. Mind you, it doesn’t have 70 plus years of time to break in, mellow out, brew, age, be played, abused, loved (or whatever can happen in a guitar's life time) built into to it yet. You, the player, have to provide that. 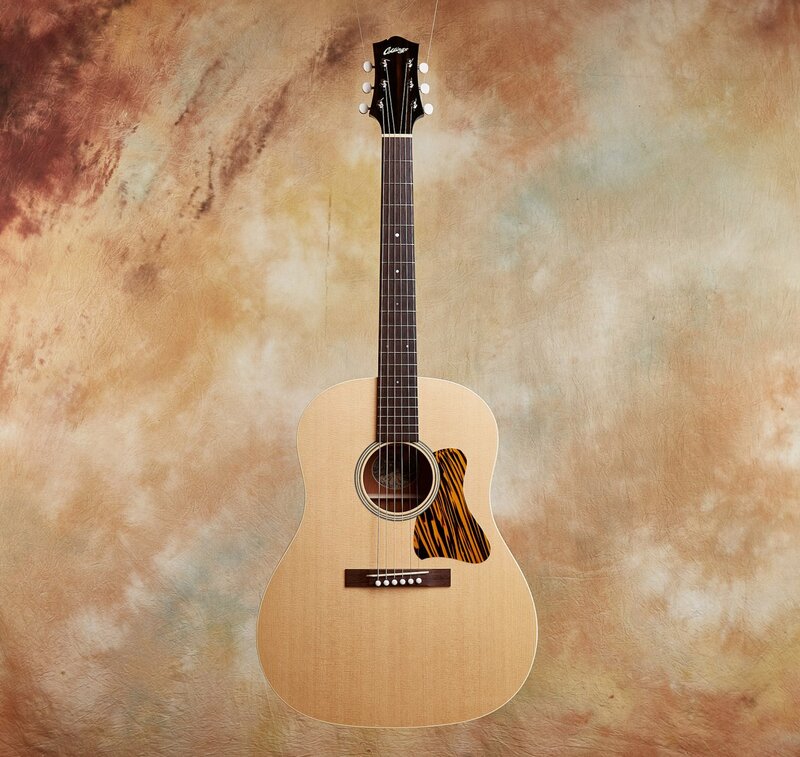 Its sound is deeply resonant and highly articulate with a vintage-like clarity. 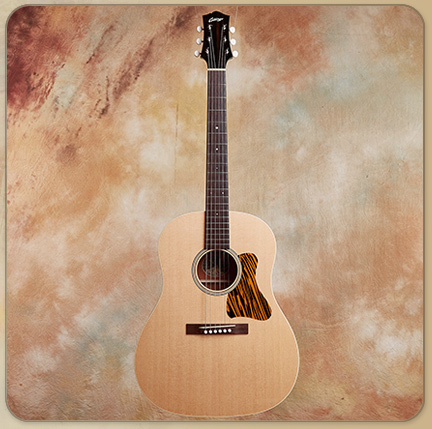 The Sitka spruce top is enhanced with a thin natural finish of nitrocellulose lacquer. 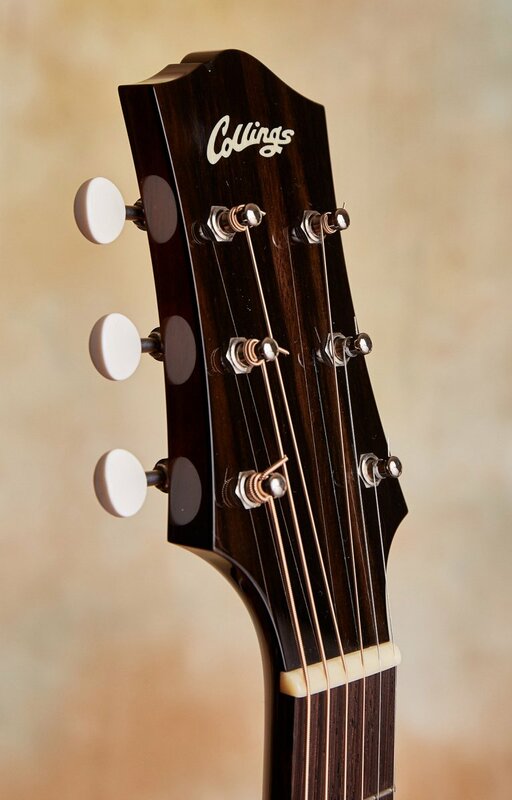 Like all Collings the fit and finish are of the highest level. 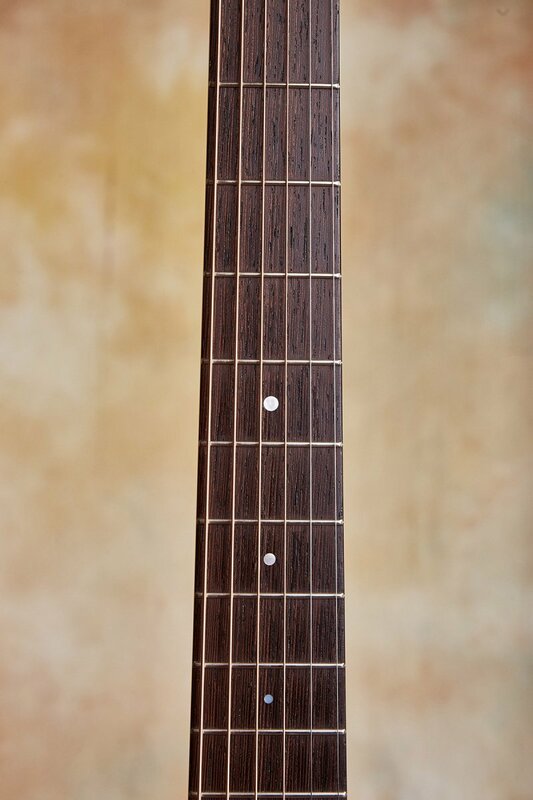 The neck has a vintage inspired profile that matches well with the 2 5/16" bridge string spacing. That along with the 24 7/8" scale length make the geometry of the CJ35 just as it should be. 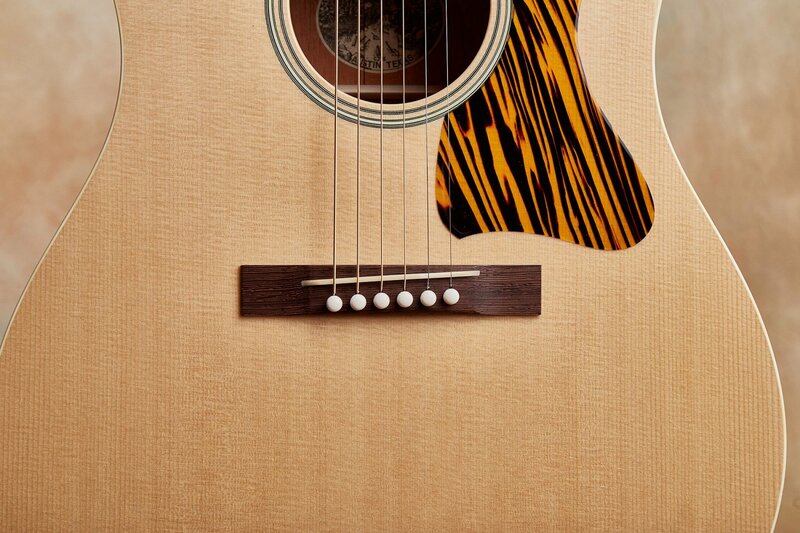 In my opinion this guitar would stand proud and tall in any style of music. 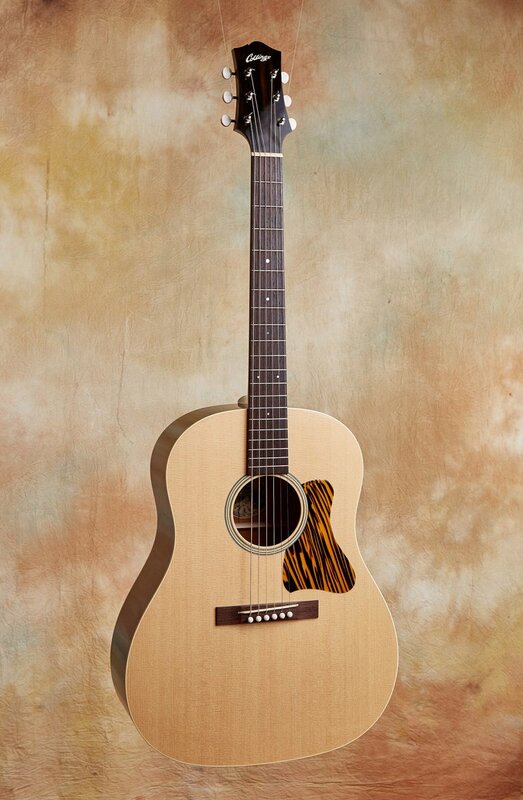 "This guitar is a new vintage-inspired CJ model with mahogany back/sides, 24 7/8" scale length, and a unique straight bracing pattern with three tone bars. 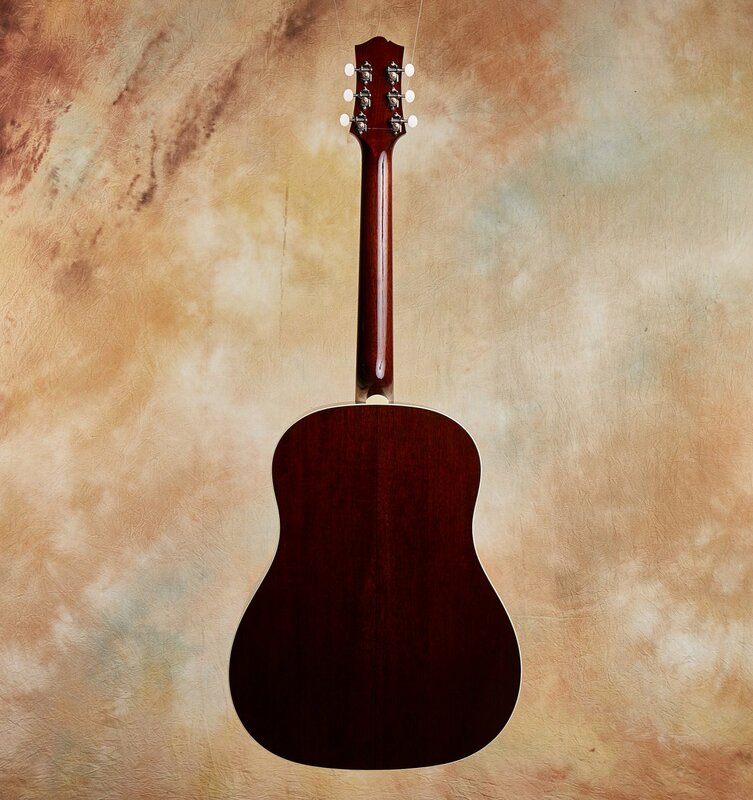 As many of you know, this model was conceived through a collaboration with vintage guitar expert Jim Baggett of Mass Street Music and has been in the works for quite some time. After completing numerous prototypes and design modifications, we feel we've finally captured the voice and response of some of the very best vintage slope shoulder examples. 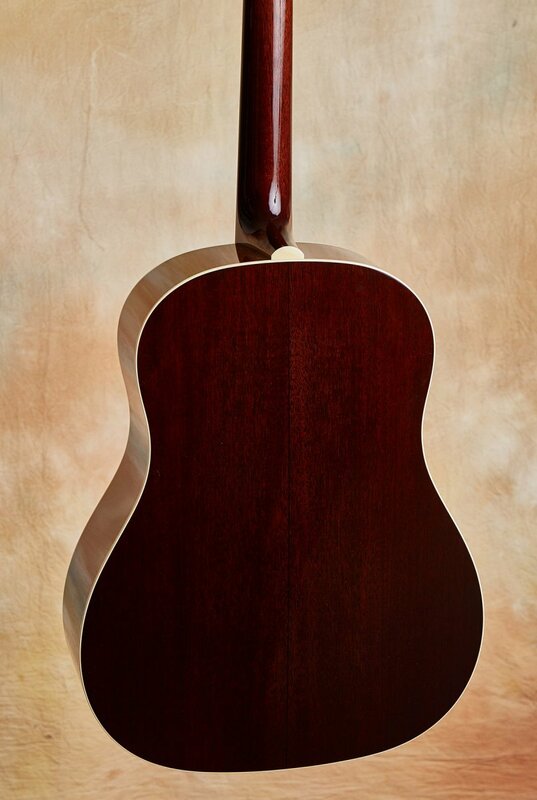 Lyle Lovett, who owns a well-rounded collection of Collings instruments, is now using a CJ35 as one of two main touring guitars. 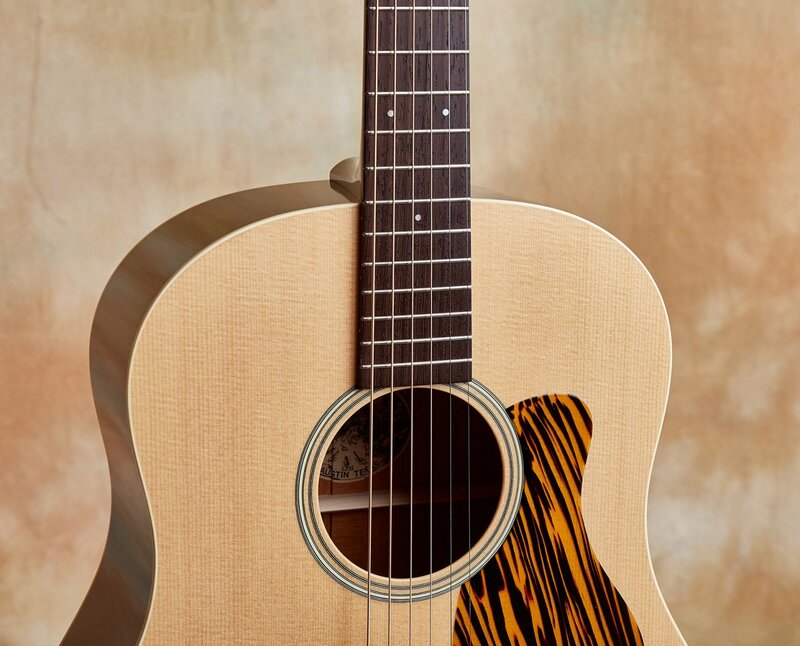 To highlight a few other key specifications, the guitar features an African rosewood (wenge) fingerboard and 2 5/16" straight-style bridge, cutthrough saddle, a brand new rounded "V" neck profile with haircut peghead, matching ivoroid appointments, and an optional sunburst finish. 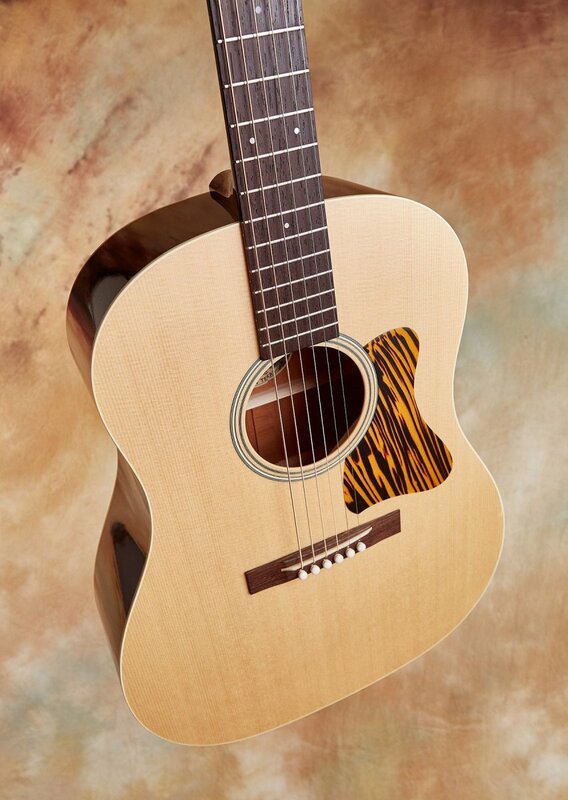 "Production of this model is handled in a different manner than our other acoustic guitars. 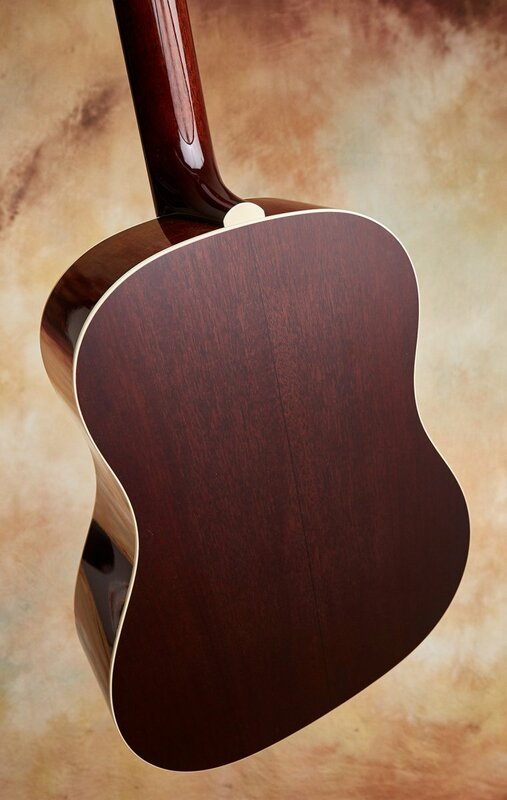 We build the CJ35 only when we have spruce that possesses the right weight, stiffness and tonal characteristics due to its unique bracing style. This makes availability a little hit or miss at times, but it is not something we can compromise on."